Athens homeboys R.E.M. opened and closed their 1992 world tour with a single performance Thursday night at their hometown 40 Watt Club. The invitation-only event was a benefit recording for Greenpeace, which set up a solar-powered recording van for the occasion. The band played an 80-minute set for a capacity crowd of 600, showcasing tunes from their new album, "Automatic for the People," including a starkly rhythmic rearrangement of their current hit, "Drive." 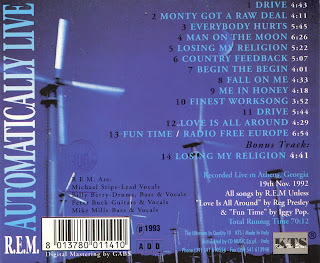 In fact, I have included below an annotated track listing, the original album on which the song first appeared, and, just for fun, the banter and stage dialogue of Michael Stipe and Mike Mills, which features stories on alternative titles for "Losing My Religion" and Stipe's inability to remember certain lyrics to certain classic R.E.M. songs. MICHAEL STIPE: Thank you, you're very generous. STIPE: Thank you, you're very generous. I think Mike has a story to tell. You can use my mic. 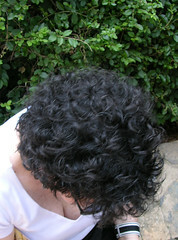 MIKE MILLS: Peter and I just spent a week in Israel. We did a couple of days of press in Tel Aviv, and we used the opportunity to rent a Jeep and go riding about the countryside in Israel. We ended up on the Dead Sea at this strange resort hotel called Nirvana, of all things. (Laughter). And we were there talking to our friend, Karen Rose, who used to live here and now lives in Israel. And she said that she deejays sometimes and she wondered why nobody ever requested "Losing My Religion" over there. She asked a friend of hers, "How come nobody asks for 'Losing My Religion'"? And the guy said, "They do, all the time, they just don't know the English - they don't know what to call it, so they always ask for 'Oh, Life.'" (Laughter). So, that was our watch word while we were in Israel. Anytime something would happen, we would go "Oh, life." So now, for you, "Oh, Life." STIPE: We're going to play four more songs, three of which I don't have the words to. So, I'm going to ask anyone who knows the words really well to please come down to the front. If it looks like I'm faltering, just holler the first word and I'll pick up from there. 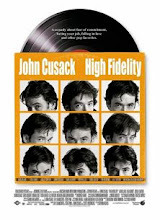 STIPE: You know, my first cue is silence, that's a very important one. Here we go. STIPE: I really might need help on this one. MILLS: Some people think that using the capo is cheating. I'm not one of them. MILLS: See, if it's not cheating, it doesn't work. STIPE: What's that about capos, Mike? MILLS: See, I hate these things. Okay, it is cheating. STIPE: Is Gwen O'Looney in the house? This song goes out to Gwen O'Looney. STIPE: We don't really know what to play now. (People shout requests). We've never played that before. (More shouts for requests). You're going to have to take turns. I can't understand you. We've never played any of those songs before, and we've - actually we haven't played most of the songs that we played tonight before, so this is kind of an exclusive. You should feel very special, because you are special. We're all special. We have a new government. (Cheers.). At least on the national level. I hope everybody here knows that on Tuesday, which is November 24, we have to go and vote for Wyche Fowler for U.S. Senate. He's really a good man. I mean that. This next song has absolutely nothing to do with senatorial races or Wyche Fowler. In fact, I don't even sing lead vocal on it. Mike Mills does. STIPE: I have nothing to say. STIPE: Thank you, good night. 14. "Losing My Religion" (Bonus Track from MTV performance). Taking a break from acting local in order to think global, on 19 November R.E.M. played only their second show of the year at the 40 Watt Club. It was organised especially for Greenpeace, the organisation using the solar-powered mobile recording studio Cyrus to tape the show. A version of 'Drive", specially funked-up for the occasion, was chosen to join 15 similarly recorded songs by other artists on the compilation album Alternative NRG, released in January 1994. Before too long a DAT audience recording of the show was put out on bootleg-CD (remember, this was the heyday of CD-bootlegging). If I recall correctly, 'Automatically Live' on the legendary Kiss The Stone imprint (KTS 141) was the first to hit the streets. Countless other discs would follow, the best of which (and the most complete) being 'This Is It' (Red Phantom RPCD 1117). 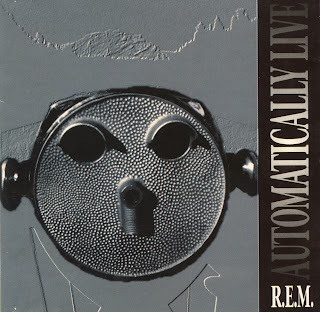 The popularity of the show is hardly surprising, given that the band gave a sterling performance that night and did no other gigging in support of 'Automatic for the People' (the then-current album). To boot, Buck & co were in great spirits, entertaining the homecrowd with amusing in-between banter, AND the available audience recording was remarkably clear (if, ultimately, a bit dull sounding). In due time, a soundboard recording of the first song played at the gig (a great funked-up version of Drive) appeared on the aforementioned Greenpeace CD (January 1994). The bulk of the show was later released in the form of bonus tracks on the four CD-singles released to promote the Monster album (three tracks apiece). However, while the songs themselves sound incredible (especially 'Country Feedback', which by late 1992 had not yet been turned into the pompous dirge it became during the 'Monster' tour), the end result did not add up to a complete presentation of the show: apart from the first take of 'Drive', one more song was left off (a not particularly strong version of 'Love Is All Around', the Troggs cover which the band had performed so well in acoustic guise during the promo-tour for 'Out Of Time'), as well as the major part of the great chats in between songs. On November 19, 1992, R.E.M. gave an invitation-only, solar-powered performance at Athens' 40 Watt Club to record a song for an upcoming Greenpeace album that will promote solar energy. 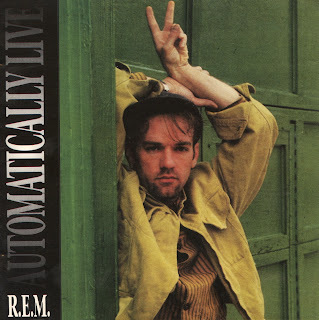 Along with two takes of "Drive" (electric versions, one of which will appear on the album), the band performed "Monty Got a Raw Deal", "Everybody Hurts", and "Man on the Moon", followed by classics including "Losing My Religion", "Begin the Begin", and a "cattle-call" version of "Radio Free Europe". Accompanying R.E.M. was John Keane, who provided assistance on bass, pedal-steel guitar and acoustic guitar. In response to questions about a tour, Peter Buck said: "This is it. This is the tour. And after this we are going to take a long rest." This show has been bootlegged on CD under several titles, the best sounding and most complete version being "We Support Greenpeace." A well-shot video of this performance was also available at one time in the underground market. Tracks from this performance would also end up as b-sides on future R.E.M. singles. "Country Feedback" and "Losing my Religion" would later appear on the 1995 "Bang and Blame" single. "Drive," "Fun Time," and "Radio Free Europe" would appear on the 1995 "Strange Currencies" single. "Fall on Me," "Me in Honey," and "Finest Worksong" would appear on the 1995 "Crush with Eyeliner" single. "Monty Got a Raw Deal," "Everybody Hurts," and "Man on the Moon" would appear on the 1994 "What's the Frequency, Kenneth?" single. Just two months after this gig, R.E.M. would play the MTV inaugural ball in Washington, D.C. Gwen O'Looney, to whom Stipe dedicates "Finest Worksong," was the mayor of Athens, Georgia in 1992. Elected the previous year, she served for eight years, all the while receiving the support of the band. (Later this month, O'Looney will participate in a panel discussion sponsored by the Athens Historical Society on the history of R.E.M.). Wyche Fowler, whom Stipe endorses prior to "Love is All Around," was the incumbent Democratic U.S. Senator for the State of Georgia in 1992. On November 3, 1992, Fowler won a plurality of the popular vote, but not the majority, which forced a run-off election, held three weeks later. On November 24, 1992, just five days after this concert, Fowler was defeated by Republican Paul Coverdell, who would die in office eight years later in 2000. During the band's rendition of Iggy Pop's "Fun Time," Stipe alters the lyrics slightly to note that he saw "Dracula" at the Beachwood Cinema "last night." Bram Stoker's Dracula, featuring Anthony Hopkins, Keanu Reeves, Winona Ryder, and Gary Oldman was released the previous Friday, on November 13, 1992. (One wonders if Stipe returned to the theatre the day following this gig to see Bad Lieutenant, which was released on Friday, November 20, 1992). Apparently, I am not alone in my 1992 R.E.M. nostalgia. Earlier this month, the popular music blog Stereogum released Drive XV: A Tribute to Automatic for the People, a free online tribute album featuring covers of every song on the 1992 R.E.M. record. It features performances by The Veils, Rogue Wave, the Meat Puppets, The Forms, the Shout Out Louds, and others. You can find its official track list here. 1. O'Briant, Don with contributing writer Steve Dollar. "Peace Buzz: Rice's Tour is delaying her viewing of 'Dracula," Atlanta Journal Constitution, November 20, 1992. I just found this while listening to Monster. This is a great bootleg to have. A blast to listen to. Thanks for the thorough breakdown!